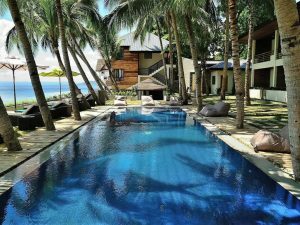 Considered as the Eden or birthplace of diving in the Philippines, Anilao has been a favorite destination for both beginner and expert-level type of divers wanting their dose of underwater challenge and adventures. Much has been said about the wonders and beauty of the marine life and habitat it holds. 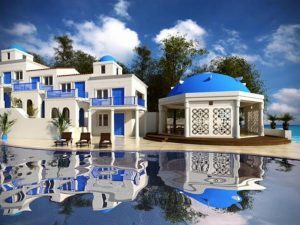 But Anilao is also a gateway to wondrous places above sea level like fantastic beaches in nearby municipality of Tingloy and Mt. Gulugod Baboy. The name of the mountain translates to ‘pig’s spine’ it got its moniker because of the way it looks. It rises above the Calumpang Peninsula. It is the ideal hike for beginners because of its gradual inclines. This is a possible introductory mountain for those who want to start a new hobby. The views are beautiful and the hike easy, an ideal combination for those who want to spend half a day in nature. Some parts are paved, making it easy to ascend. The mountain has a number of trails in several directions, meaning you’ll get to where you want to go to, easily. Once you reach the peak, you’ll get beautiful views of the Maricaban Islands and Balayan Bay. The hike is doable as a long day trip from Manila and nearby cities. However, to make the long bus and jeep rides worth it, spend a night in the camping ground. You’ll get to see the spectacular sunrise and sunset. Gulugud Baboy is an accessible mountain for those who want to go hiking over the weekend. Board a bus bound for Batangas either from Cubao or Buendia, and then alight at the Grand Terminal. Fare is about P160. From the terminal, get on a jeep bound for Anilao and alight at the Philpan-Mabini Junction, the fare is approximately P35. At the junction, hail a tricycle to take you to the registration area for the hike; this costs around P40. Diving is a rewarding experience; you’ll get to see a different side of the underwater ecosystem that you can’t with just snorkeling. The Philippines has many diving destinations throughout the archipelago. You do not have to go far to enjoy this activity. 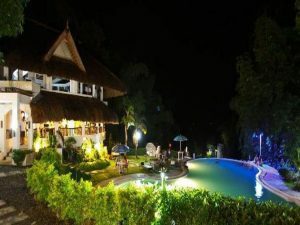 Anilao is a famous place to do the latter because of its ideal location. 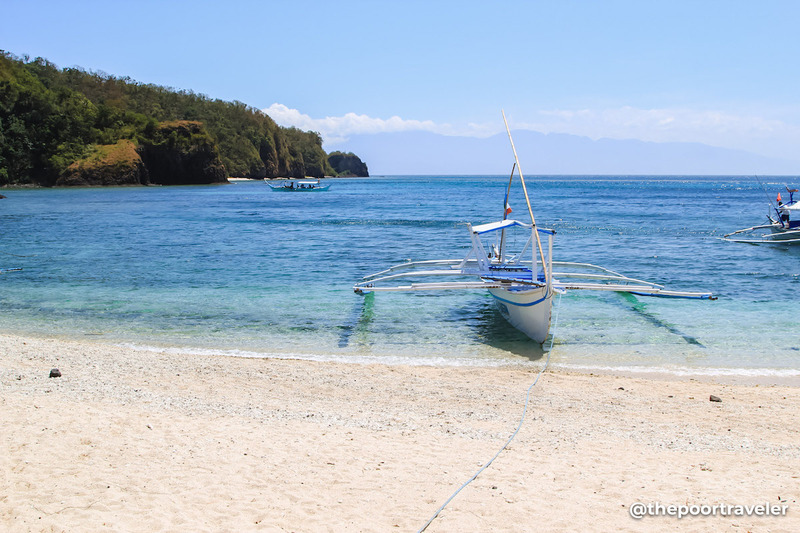 Anilao is a famous destination because of its more than 20 dive sites. It is near Verde Island Passage, which is one of the most diverse marine ecosystems in the world. 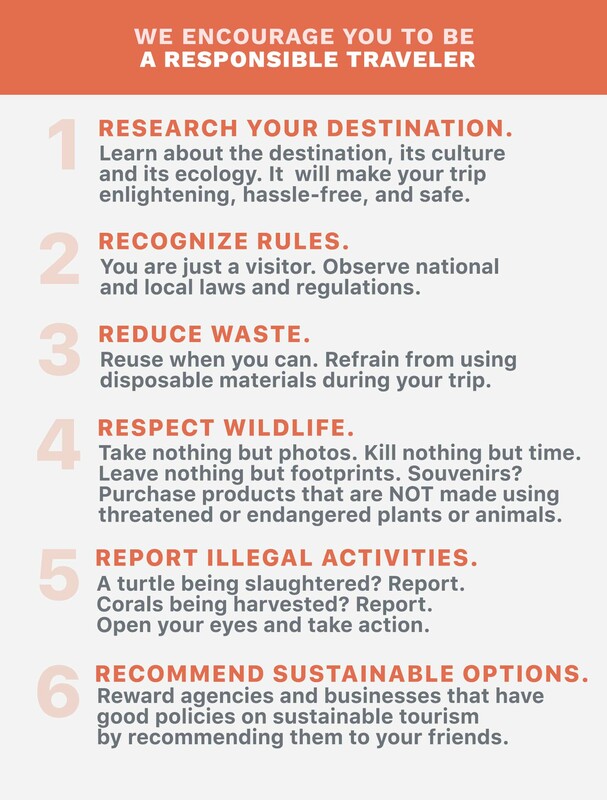 Most, if not all visitors, get diving lessons or get more experience during their visit. A lot of resorts offer courses and tours for beginners and experienced divers alike. The underwater ecosystem in this part of Batangas is vibrant and beautiful. You’ll see a variety of corals in different shapes, sizes and colors. You’ll see a mix of yellows, blues, greens and other hues. The fish you will see is also just as colorful and varied as the corals. For experienced divers, night diving is an option. You’ll see other sea creatures when you dive at this time. The usual dive spots include: Twin Rocks, Mainit Point, Devil’s Point, Eagle Point, The Cathedral, Beatrice Rocks and Arthur’s Rock. The inclusions vary depending on the diving school and the resort. Some would offer complete packages that cover transportation, diving lessons, introductory course, equipment, food and accommodation. Beginner programs cost more, while experienced divers get to pay less per dive and as long as they bring their own equipment. This activity is a must add to your bucket list because the Philippines has so many dive sites and has one of the most diverse underwater ecosystems in the world. Sombrero Island is part of Tingloy municipality, but it is accessible from Anilao. On clear days, you may even see it from a few resorts. It got its name because of the hat-like appearance. It has white sand and turquoise waters, idyllic backdrops for selfies, groupfies and photo ops. 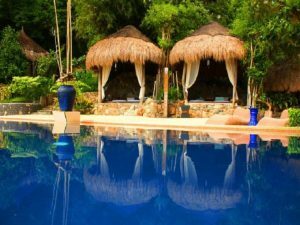 The relaxing atmosphere makes it an ideal destination for those who want to get away from the hustle and bustle of the metropolis. The island isn’t just beautiful above the glass-like waters, but also beneath it. 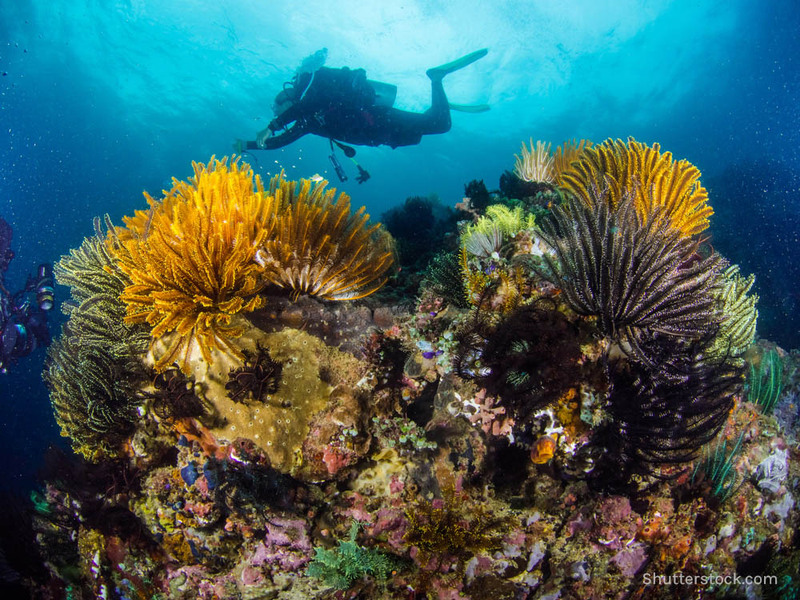 The island’s underwater ecosystem is beautiful and colorful. If you want to explore it, bring your own gear and pay the fee. The island is small and easy to explore. The hill and rock formations give the beach a rugged appearance, but fetching appearance. 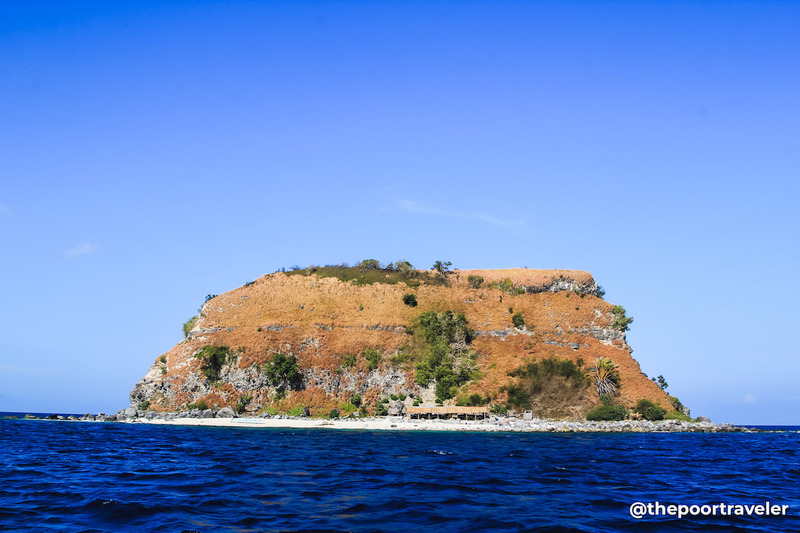 Sombrero Island is accessible from Manila via public transportation, here’s how you do it. Board a bus from Buendia Station (Taft) bound for Batangas Grand Terminal. We suggest taking one that has a signboard that says ‘CALABARZON’ to avoid the traffic. You can also board buses from Cubao or Alabang. The fare is around P127 to P165 depending on the station you came from. Once at the Batangas Grand Terminal, look for the jeepney terminal and board one that passes either Mabini or Anilao alight at Anilao Port; fare is about P37. At the port, you can rent a boat for P2500 (up to 10 persons). 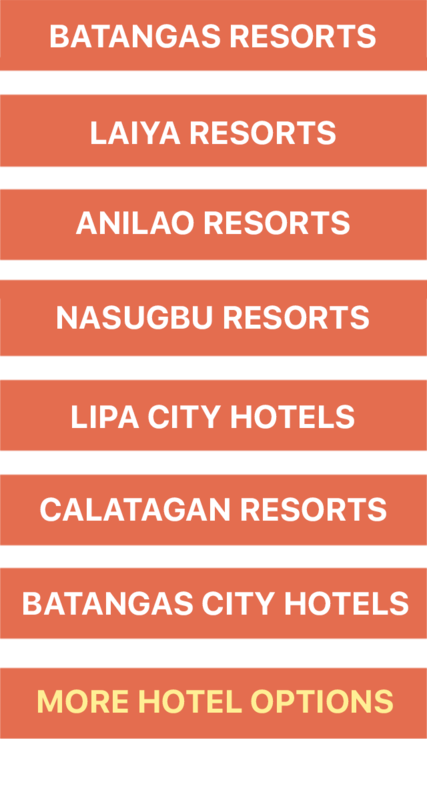 If you choose to include other beaches, prepare to shell out around P4000 (up to 10 persons). You can also go to the island from Masasa Beach; the boat costs about P1500 for up to 3 people. 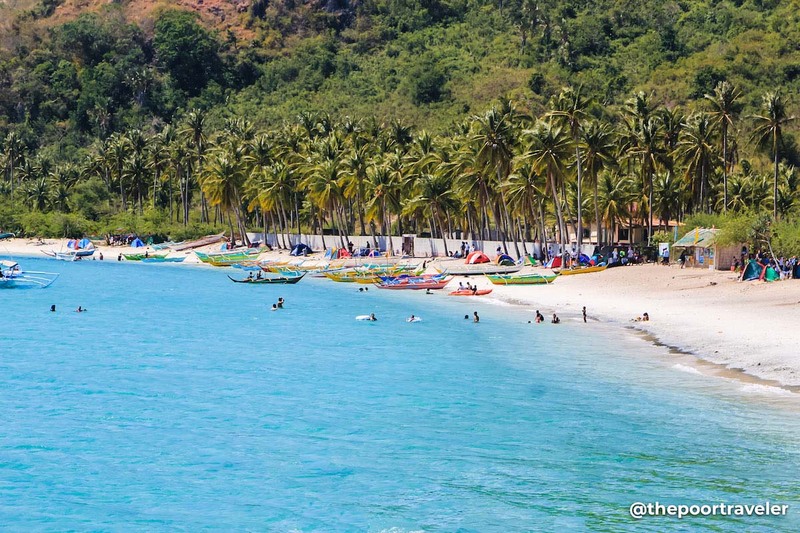 The beach has gained popularity over the years because of its whitish shoreline, turquoise waters and its accessibility from Manila and nearby cities outside Batangas. Many go to this destination to camp, wade in its clear waters or just simply get away from the stress of city life. Despite its reputation as a famous place to go to, there are spots where you can avoid the crowds staying on the main area. For those who want to do more than just swimming and beach bumming, you can snorkel off the coast of Masasa. You can also go on an easy trek to see the Mag-asawang Bato rock formation. Anilao is your transit point to get to Masasa; you can board a public boat to Tingloy then get a private one to the beach. Once at the Batangas Grand Terminal, look for the jeepney terminal and board one that passes either Mabini or Anilao. Alight at Anilao Port or Talaga Port (depends on the season); fare is about P37. At the port, you can board a public boat for P100 or charter a private boat for P4500 (up to 10 persons). Note: The last boat returning to mainland Tingloy Port departs at 2:30pm. However, you can charter a boat at Masasa, which costs around P2500 to P3000. There boats that take passengers back to the port at smaller docks, but we can’t be sure about the schedule. However, the boats pick up passengers at Masasa at approximately 12nn during the weekends. Sepoc is white sand beach of Maricaban Island and is a possible inclusion to an island hopping escapade. Boats can dock near the beach; however, visitors can’t go inland nor enter the restrooms or dining area because Eagle Point Resort owns it. If you want to maximize your trip to this destination, do it through the resort. Doing so enables you to go up the hill and get views of Anilao and Sombrero Island. Its detachment from the mainland gives it a middle-of-nowhere atmosphere. Sepoc is also a popular scuba diving destination for those who want to kick start this hobby. The coral reef garden is near the shore, which makes it an ideal snorkeling spot. And meters from the coast is another place that is teeming with underwater life, the Sepoc Wall. The latter is a famous dive destination, one of the best in the province. The sand may not be as white and as fine in the most popular places in the country, but Sepoc has its own charm. Go beach bumming and leave your worries behind, visit the nearby caves and wade/swim in its cerulean waters. There is also a small hill on the island where you can climb up and get bird’s eye views of the surroundings. It is an easy hike which takes just around 15 minutes. You can follow the same directions to get to Sombrero Island above. Alternatively, you can charter a boat from Anilao Port to the resort and beach, this will cost around P3000. This is an ideal option for a large group of friends or family.